Located west of Kruger National Park this ethnic-style retreat resides within 26,000 hectares of bushveld in the north eastern Lowveld. The outside area is distinctively designed around the natural surrounds, with a spacious deck overlooking a waterhole where wildlife can be viewed. 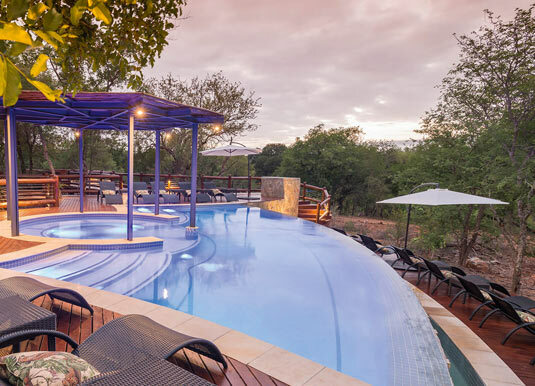 Between game drives, the large pool has comfortable loungers where you can unwind with a drink or perhaps head to the spa for a therapeutic treatment. You’ll also feast on tantalasing African cuisine at the indoor-outdoor area or enjoy a legendary boma dinner under the stars. In Main Lodge superior rooms with air-conditioning, bath and shower, outdoor shower, safe and deck. River Lodge suites, which are in three separate camps. Please ask for prices. 1 hour from Hoedspruit airport. 25GBP Drinks package supplement (per person per day): Receive unlimited local beers, local wines and soft drinks and 50% discount on spa treatments. 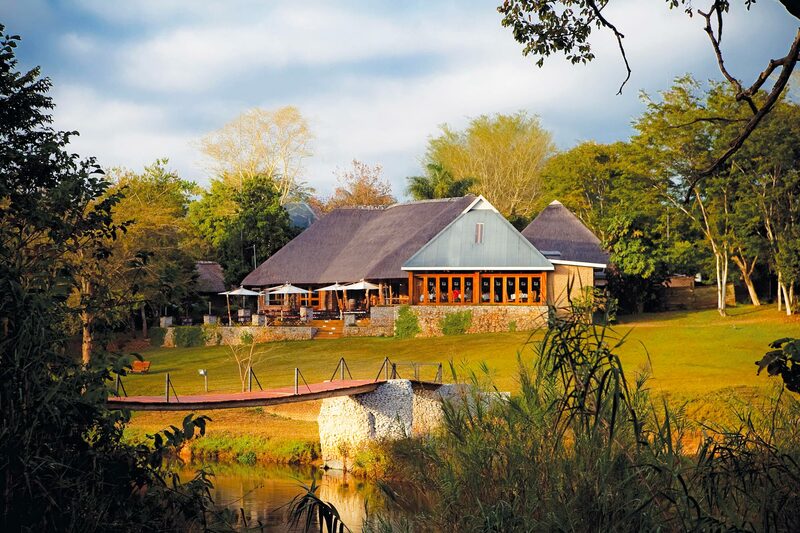 50% spa treatment discount: If you stay 2 nights at River Lodge. FREE transfers: From Hoedspruit airport. Excellent location, fine cuisine and Big Five game viewing at an outstanding price.